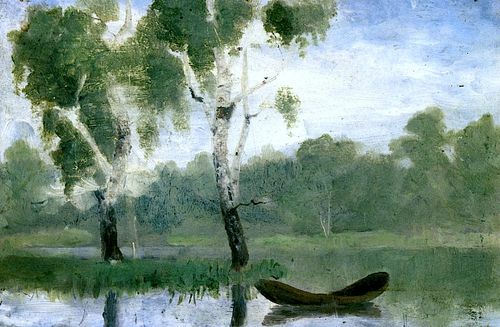 ​Edvard Munch, Small Lake with Boat, 1880. Munch Museum, Oslo, Norway. The company has taken on a lot of challenging projects these years, and sometimes when I see all the pressure my colleagues are under, I think of the condition depicted in Edvard Munch’s The Scream. It is natural for an artist’s life experiences to emerge as sentiments in his works. Let’s take a look at what this artist, who is basically synonymous with mental anguish, saw beyond the suffering and screaming. 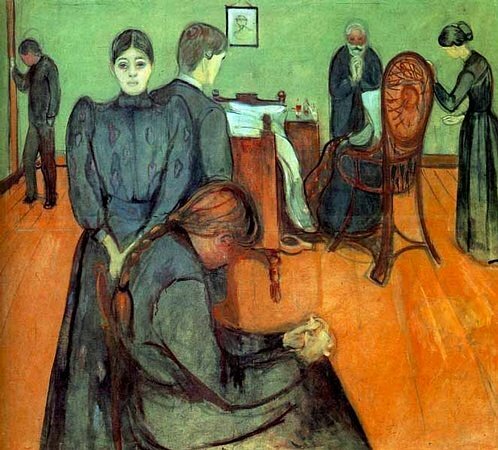 Sickbeds and death constantly appear in Munch’s works, and every element from the lines to the colors speaks of anxiety and depression, like the dark shadow of a person emerging behind a woman standing by a bed, the mottled shadows of a tree under bone white moonlight, and a person’s face turning green with envy. 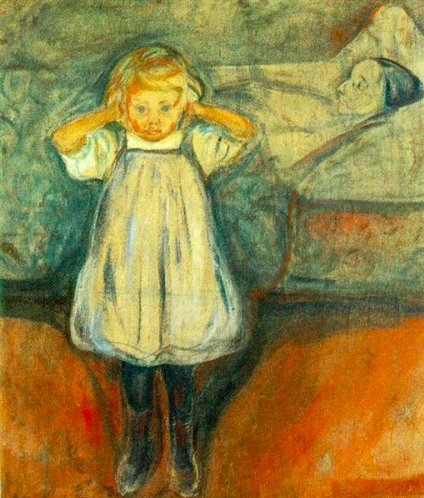 Munch’s mother died when he was young, and his father suffered from mental illness, so the artist had a deeply-ingrained terror of hell from a young age. His siblings left this world in close succession shortly after their father died in 1889. 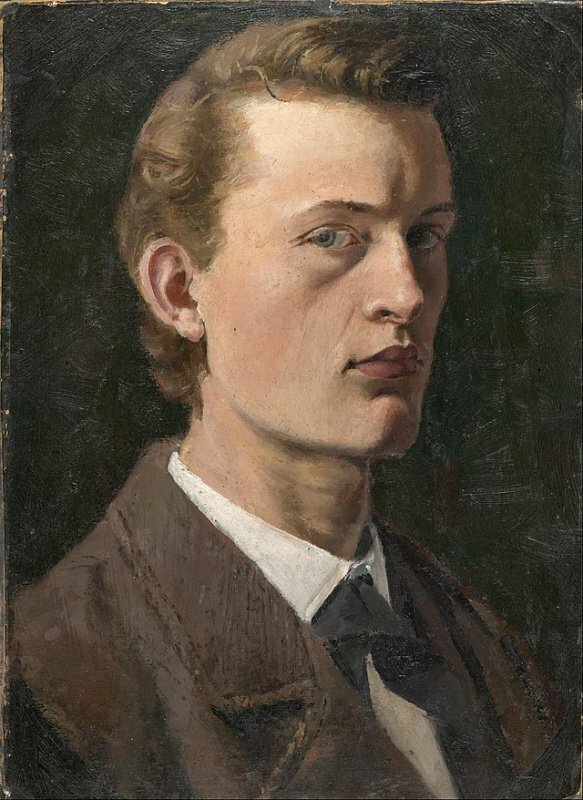 Forced to drop out of technical college due to frequent illness, Munch enrolled in the Royal School of Art and Design of Kristiania (Oslo) in 1881. Among his teachers there was the naturalist painter Christian Krohg (1852–1925). 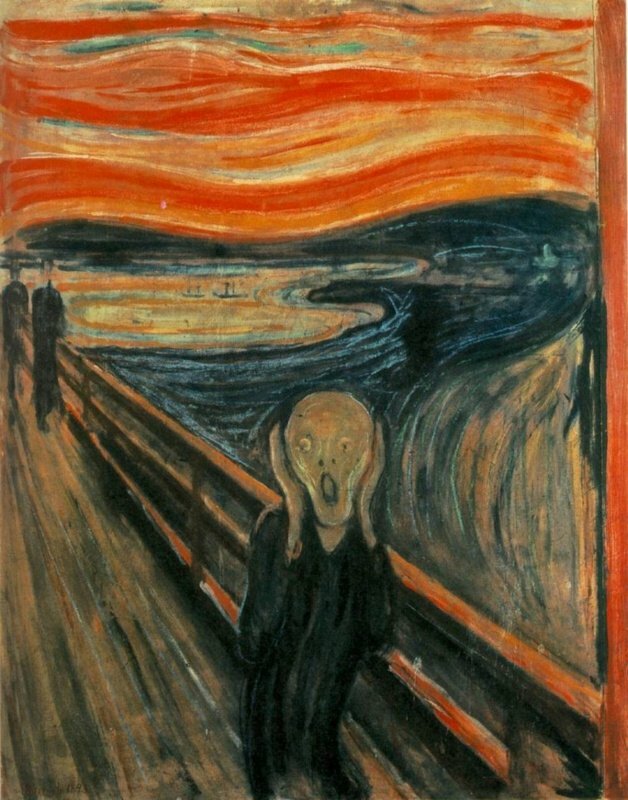 His paintings in this period had a natural feel, and are hard to associate with The Scream. He experienced the pain of loss very early in life. His mother died of tuberculosis when he was five years old, and his older sister Johanne Sophie died when he was fourteen. His younger sister was diagnosed with mental illness as a child. His younger brother, Peter Andreas, died only a few months after marriage. His father, a military medical officer suffering from mental illness, died in 1889, again while Edvard was still young. Growing up in a family with many siblings myself, the scale of this loss really hits home for me. He described his sister’s death as a tragedy that haunted him for his whole life, and the event that inspired The Sick Child, which he painted between 1885 and 1886. He often discussed this work, seeing it as one of the more important works in his artistic career. 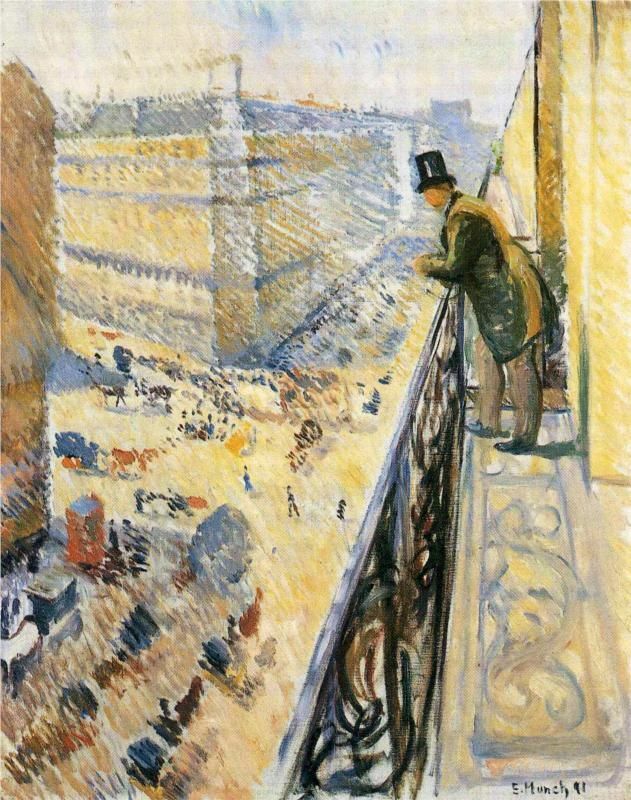 It marked a key breakthrough in the path from Impressionism to Expressionism. But this work was mercilessly criticized on its debut. They didn’t take any issue with the subject matter, but could not accept the painting technique. 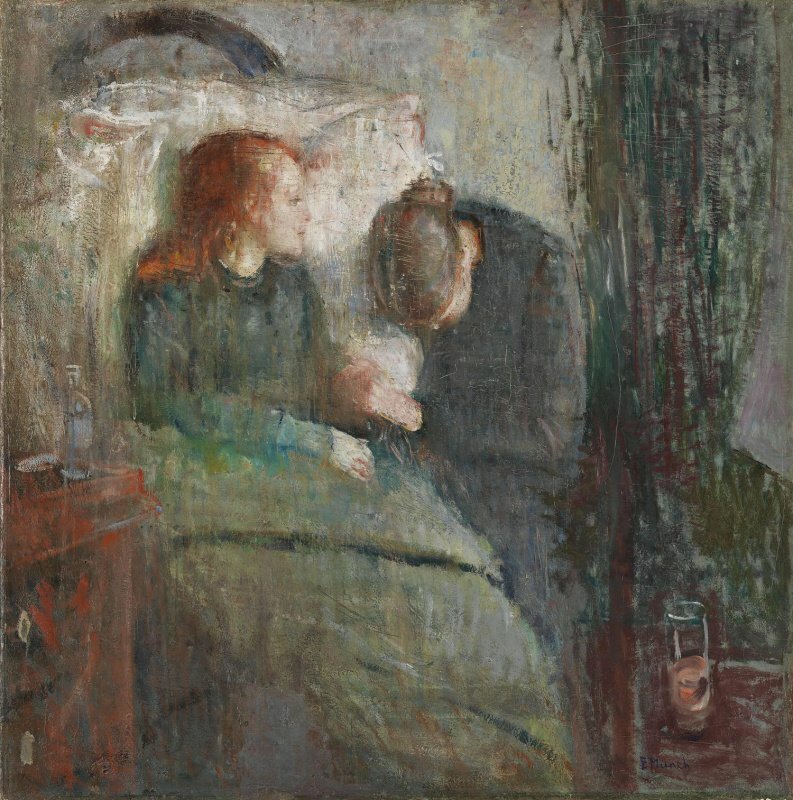 In a 1930 letter to the director of Norway’s National Gallery, he describe this creative period as the “pillow period.” Tuberculosis was ravaging Europe, and too many people had experienced the loss of a loved one. Sickbeds were a frequent subject in the painting of the time. He returned to this theme frequently in his own work. I feel that this perseverance in the face of adversity, this eschewing of fashion to pursue one’s own ideas, is precisely the spirit an artist or an entrepreneur should have. There are many analysis about his psychic trials and tribulations, and how much he suffered. They often quote him on his 70th birthday, when he said, “Sickness, insanity and death were the dark angels standing guard at my cradle and they have followed me throughout my life.” He went on to gradually establish his own unique painting style that attempted to convey the mental state of the subject. The people in the paintings are often in dramatic settings, their surroundings resonating with their inner emotional state. For this reason, people would come to call him a pioneer of Expressionism. Another common theme is the kissing couple, which he first depicted in a space that was clearly indoors, before gradually removing the narrative components, to extract only the kiss. This burning, restless emotion and upsurge of living energy, like his later work The Sun, stand as testaments to his love for life and his staunch resistance against fear. The thing that touches me the most about his works is his strong heart. Every time he faces a setback, he gradually learns to overcome those issues that once conquered his emotions. The unforgettable tragedies, the survivor’s regrets, the pain of estrangement… He opened up all of the love and regret in life and reflected it in his creations in order to better understand himself. In moving himself, he produced resonance that moved the world. This is the power of art.